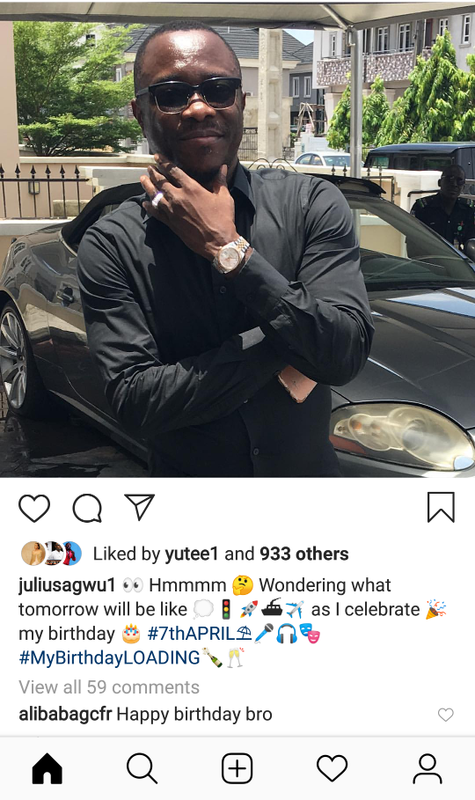 Nigerian comedian Julius Agwu is a year older today, 7th April. The original Choba prince! God Bless And Keep You. Happy Birthday to Julius, may sickness never steal your productive time again, in Jesus name, amen. Double Amen. Happy Birthday Julius and I wish you good health forever. Happy birthday. It has been long I heard from you. How about your program 'crack your rib? Another funny guy next to Okey bakassi.... sickness wants to humble him, no gree. Happy birthday to Julius "the genius" Agwu. Long life,good health,joy and prosperity be yours. Happy birthday Julius. Many more prosperous years!.